Last minute V-Day S A L E.
Better late than never! Order online now for 20% off any Valentine's Day gift sets or come on by the Wooly Wax Candles H.Q. We can't guarantee a Valentine's Day delivery, but order now and and we can at least get it there! 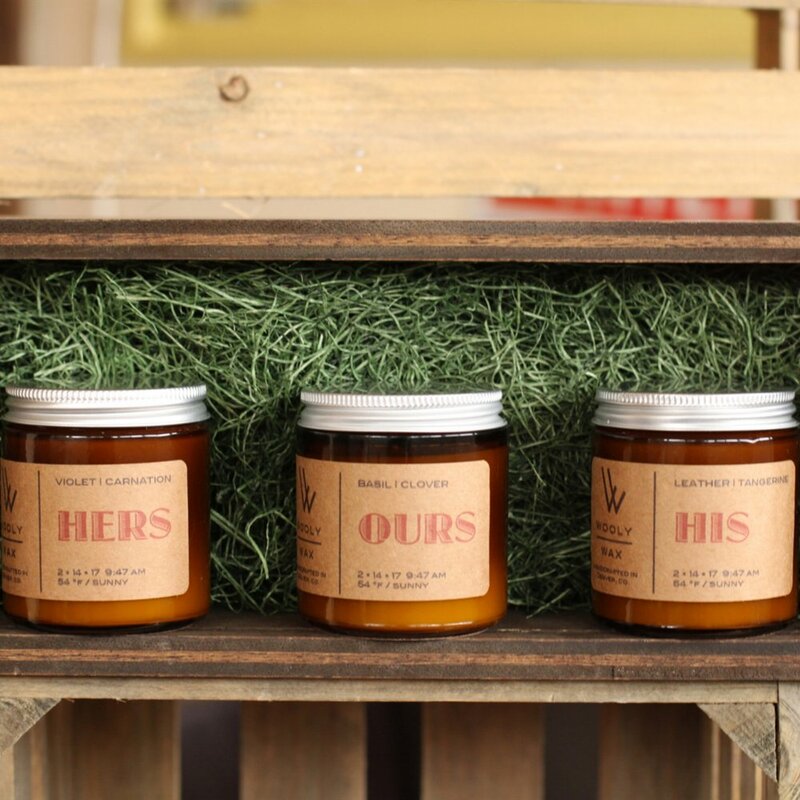 Choose from our His + Hers + Ours candle trifecta, the 9 oz Tumbler or the 8 oz Valentine candle + Lip Salve. For more information visit WOOLY WAX and use PROMO CODE: VDAY2018! Older PostCandle Movement Sale: 20% off + Free Shipping.